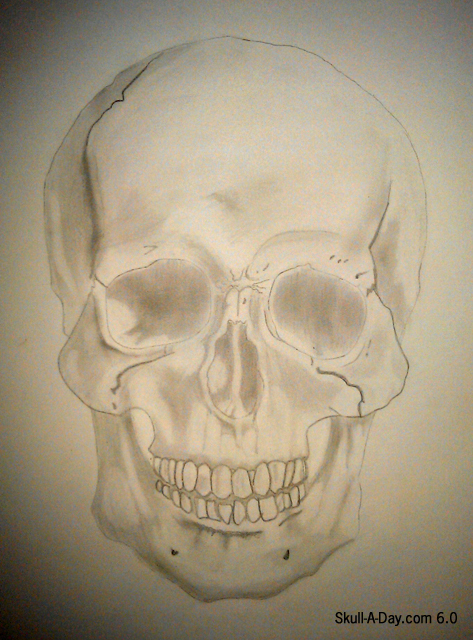 Jennie Klingenberg, from Oslo Norway drew this skull in May, 2012. Using anatomical skulls for artwork references is always neat to see. 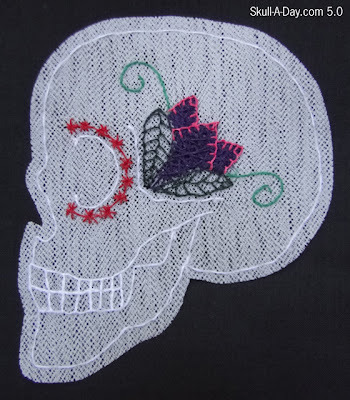 Each interpretation is different, as both the skull and how a person views an object varies from person to person. With the attention to details and shading of a natural human skull, this reminds me of a portrait. With portraits, you want to include those subtle details, so you can properly capture the look of the subject. I think this pencil drawing does a great job of doing just that. It makes you wonder just who did that skull belong too.